Vultures are admittedly not liked by many people and mostly because of a lack of understanding about them. Our King Vultures though are absolutely gorgeous and amazing birds. The female comes to us on loan from the Montecasino Bird Gardens in Johannesburg and the male is Bishop who was one of our show birds. They are one of only 3 pairs in the country which makes them even more special to us. The King Vultures are found in large parts of South and Central America where their bright colours serve as camouflage in the rainforest. They went on display on Tuesday 24 September and have already drawn large crowds to their exhibit near the entrance of the park. The storm-water drain is still being installed more than 2 months after work started due to major delays with reinforced concrete structures being found and taking more than 2 weeks to break through, granite rock which also delayed the process and numerous electrical cables which weren't on any plans the contractors were given. The bulk of the work in the park has been done though and we have started moving birds back into some of the enclosures. There was severe damage done to some of the enclosures and these will be rebuilt over the next month or so. New pathways will also be installed as well as new landscaping, safety barriers and a garden opposite the show auditorium. All this work will be finished by the December holidays and we again apologise for the inconvenience caused during this construction. The big advantage though is that the park will no longer flood during heavy rains and the birds will be safer because of this drainage system. 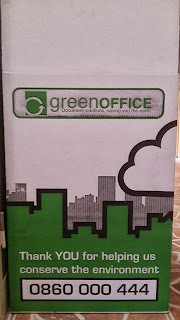 Finally for now, we are embarking on some major recycling projects and have obtained a recycling box from Green Office who recycle old printer cartridges. 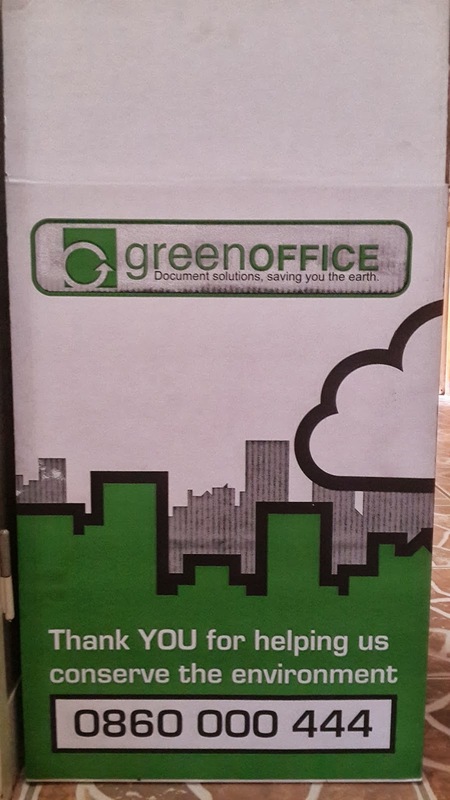 More than 300 million printer cartridges end up in landfills every year and this is a way we can help reduce that. We would like to encourage members of the public to bring their empty printer cartridges to the park and dispose of them in our recycling box. Money raised from the recycling of these cartridges will be donated to the Mabula Ground Hornbill Project. Go to www.ground-hornbill.org for more information about them and the work they do. We are proud to support them and have done so for the past 9 years. Help us to help them and bring your empty cartridges to the park. July has been a bumper month for us not only with the school holidays, but also because we have had some amazing donations from corporates. Metro Plastics has been fantastic to us and have very generously donated sheets of coloured Perspex and offcuts for us to use in our education department. There are designs being drawn up to make the best use of this and the results will be seen around the park over the next few months. 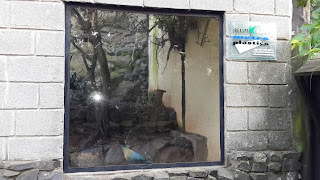 They also generously donated the clear Perspex we needed to replace the cracked windows in our LBJ (Little Brown Job) Aviary. If this wasn’t enough, they donated 2 further pieces of Perspex for the diet preparation tables for the show. The value combined of all this Perspex is around R15 000 which is money we don’t have lying around and grateful thanks to the staff of Metro Plastics for their generosity. 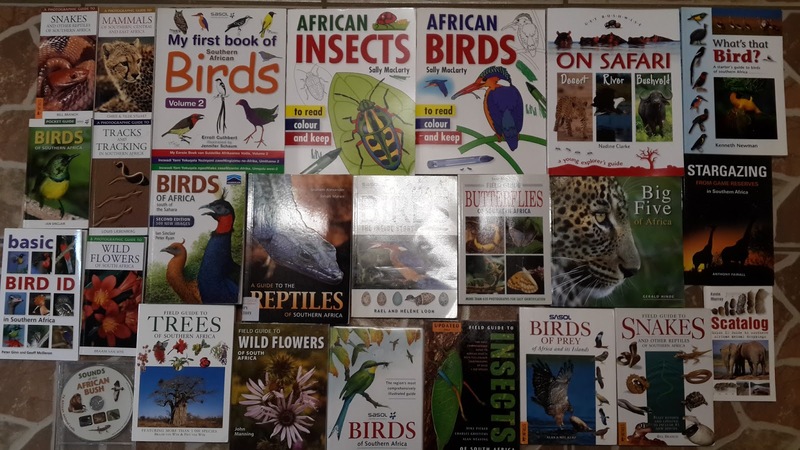 We also received an amazing donation of books from Struik Nature - part of the Random Struik group. They are the publishers of more than 180 nature books and include some of the best known in the country like the Sasol Bird Book. They very generously donated more than 25 books to add to our library. 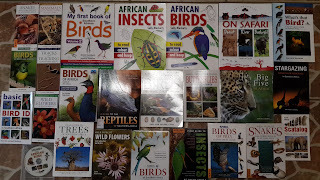 These books will be used by our staff to better their own knowledge of birds, plants, reptiles and animals and also by our education department to formulate part of the new education plan scheduled for implementation in 2014. Aside from the value (R5 000) of the books, they are important to allow us to have the most recent information available to improve our own knowledge and standards. Follow them on Facebook or check out their website for the selection of books they publish. 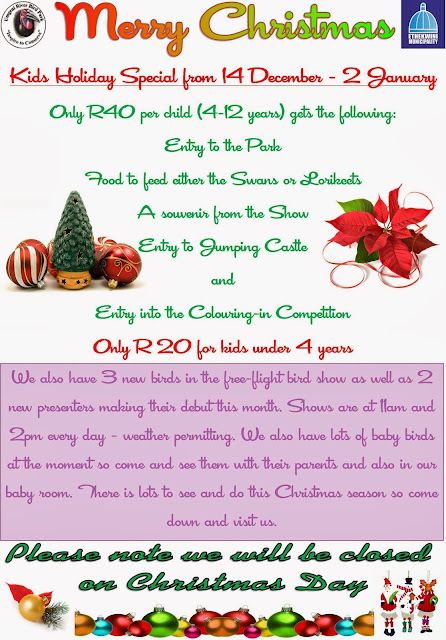 If you or your company would like to make a donation to the park please contact Grant at education@urbp.co.za with details. Today is World Environment day and the theme is Think-Eat-Save. There are a host of resources available on www.unep.org/wed. The following information will help put things into perspective for you. The impact of food waste is not just financial. Environmentally, food waste leads to wasteful use of chemicals such as fertilizers and pesticides; more fuel used for transportation; and more rotting food, creating more methane – one of the most harmful greenhouse gases that contributes to climate change. Methane is 23 times more potent than CO2 as a greenhouse gas. The vast amount of food going to landfills makes a significant contribution to global warming. · Roughly one third of the food produced in the world for human consumption every year — approximately 1.3 billion tonnes — gets lost or wasted. · Every year, consumers in rich countries waste almost as much food (222 million tonnes) as the entire net food production of sub-Saharan Africa (230 million tonnes). · The amount of food lost or wasted every year is equivalent to more than half of the world's annual cereals crop (2.3 billion tonnes in 2009/2010). · Food loss and waste also amount to a major squandering of resources, including water, land, energy, labour and capital and needlessly produce greenhouse gas emissions, contributing to global warming and climate change. · In developing countries food waste and losses occur mainly at early stages of the food value chain and can be traced back to financial, managerial and technical constraints in harvesting techniques as well as storage –and cooling facilities. Thus, a strengthening of the supply chain through the support farmers and investments in infrastructure, transportation, as well as in an expansion of the food –and packaging industry could help to reduce the amount of food loss and waste. · In medium- and high-income countries food is wasted and lost mainly at later stages in the supply chain. Differing from the situation in developing countries, the behaviour of consumers plays a huge part in industrialized countries. Moreover, the study identified a lacking coordination between actors in the supply chain as a contributing factor. Farmer-buyer agreements can be helpful to increase the level of coordination. Additionally, raising awareness among industries, retailers and consumers as well as finding beneficial use for save food that is presently thrown away are useful measures to decrease the amount of losses and waste. · Discarded fish alone amounts to as much as 30 million tonnes, compared to total landings of 100–130 tonnes/year. · United Kingdom households waste an estimated 6.7 million tonnes of food every year, around one third of the 21.7 million tonnes purchased. This means that approximately 32% of all food purchased per year is not eaten. Most of this (5.9 million tonnes or 88%) is currently collected by local authorities. Most of the food waste (4.1 million tonnes or 61%) is avoidable and could have been eaten had it been better managed (WRAP, 2008; Knight and Davis, 2007). · In the USA, organic waste is the second highest component of landfills, which are the largest source of methane emissions. The Nesquik Ready-to-Drink stock has arrived so come round this weekend between 10am and 2pm to get yours...share this with your friends and family and show your support for us and also for Nesquik. Shows at 11am and 2pm on Saturday and Sunday so time your visit to get a free drink and enjoy the show. Sorry for the late notification but the Nesquik promotion has been postponed till next weekend as the truck bringing the stock to Durban broke down and they were not able to deliver on time. This does mean though that you have a week to let your friends and family know about the promotion. Come to the park next weekend between 10am and 2pm and get your free Nesquik ready to drink...while you are there watch either the 11am or 2pm show. 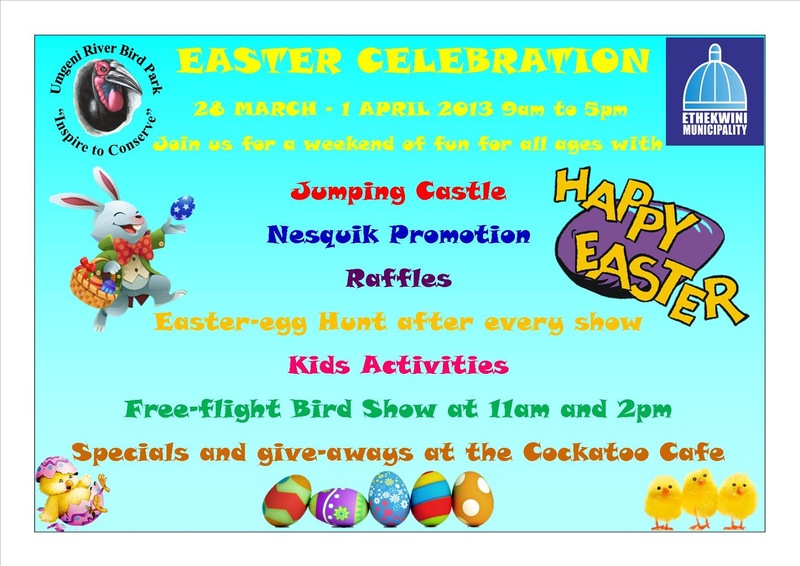 Plans are being put in place for Easter so watch our blog and check our Facebook page for more details. We are having a Nesquik Ready-to-drink promotion at the park this weekend on Saturday and Sunday from 10am to 2pm on both days. Free samples will be handed out and there is llots of fun to be had. Come down and join us and let's show how Durban loves Nesquik. This event will not be advertised in the press so pass this on to your friends and family and let them know it is all happening at the park this weekend. As I mentioned in our last post, we had a stand at the recent World of Dogs and Cats and Pet Expo in Durban over the weekend. This was an amazing show and very well attended. 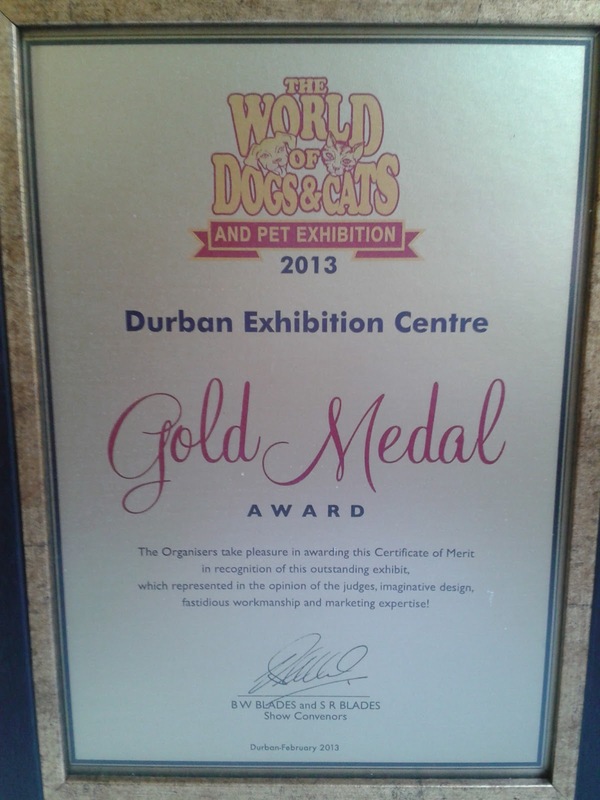 We are proud to announce that we received a Gold Medal for our stand! This is even more amazing when you consider it was our first expo in more than 5 years and the first time in almost 30 years we have won a medal for our stand. It was a lot of hard work but well worth it at the end of the day when you consider the exposure we got, the people we got to speak to, and the message we could get across. It was also refreshing to see that in general people are becoming more educated about their pets and want to do the best they can for them. As always we had some very odd questions but we get these every day :) Grateful thanks again to the organisers of the expo for giving us the stand and also to our staff for their hard work...now to start planing for next year. 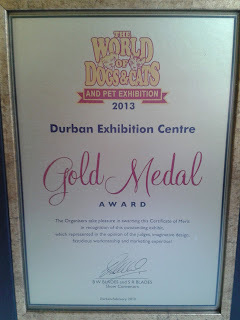 We are in the process of final preparations for the Dog, Cat and Pet Expo this weekend at the Durban Exhibition Centre. The organisers have very generously given us a stand free of charge and we are so grateful for this. With around 15 000 people expected to attend over the 3 days of the expo, it is amazing exposure for us. Whilst we do not sell birds as pets, we are always asked for advice on pet birds and also have been asked to re-home birds. 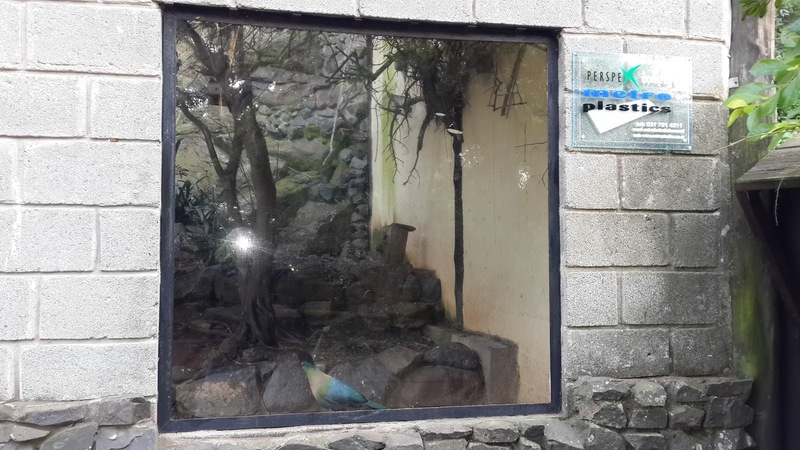 Every year we get more than 100 requests from the public to re-home birds. Most of these birds are no longer wanted by their owners for various reason but others are very reluctantly handed over. Birds can make fantastic pets and we will not dispute that...however many people don't know what it takes to look after them properly or the amount of dedication needed to make them happy and healthy. When you realise that some parrots have the intelligence of a three-year old child and can live for up to 80 years, it really is like having a child in your home for life. Many birds also need specialised medical care and diets and if you do not do your research, your bird can suffer and possibly die. We are continually stunned by some of the questions we get asked by people wanting to buy a pet bird - or even worse - who have already bought the bird. I have included some below for your amusement and also to shock you. "I want a bird that will talk. If it doesn't talk can I bring it back and swap it for one that does?" "I want to buy a brightly coloured bird and don't care what it is." "It's my daughter's 5th birthday tomorrow and I want to get her a macaw." "I bought a bird from the pet shop yesterday but con't know what it is...what do I feed it?" "Can I buy an owl from you as my mom really likes them and I thought it would be nice for her to have one as a pet". It's not all bad though. We have had some very heartbroken people contact us needing us to give their birds a home and it has not been easy for them. 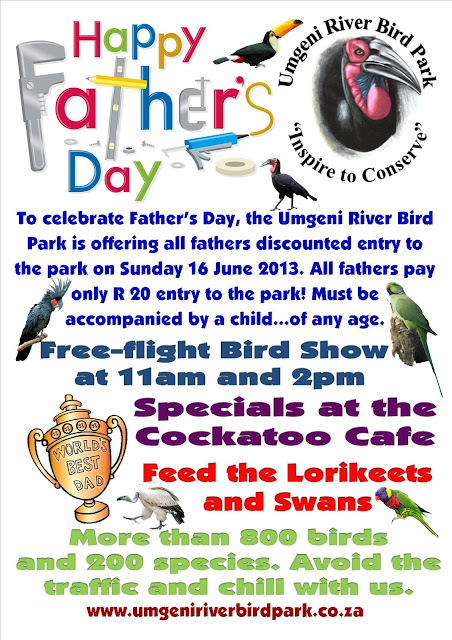 These people touch our hearts and we have wept with them as they hand over their birds to us and also seen the joy on their faces when they come to the park to visit and see their birds on display or with a mate acting like a real bird. They are also the people who regularly stay in touch with us to ask about their birds and where possible, we try to put pictures on our Facebook page for them. So we are not saying that you must not get a bird as a pet, just to think carefully about your decision and please do as much research as possible about they bird you are looking to get. Do it for your sake and theirs. With all that out the way, come to the Expo this weekend and see us or join our Facebook page, Twitter Feed, You Tube channel and come to the park...we have lots waiting for you.